The critically-acclaimed novel-now in paperback. 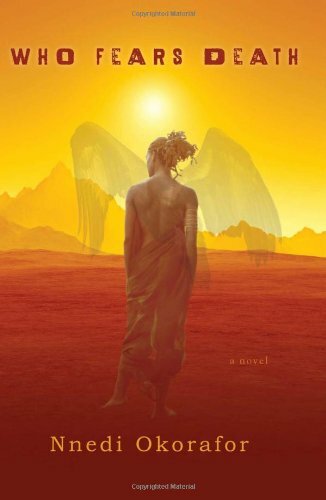 In a far-future, post-apocalyptic Saharan Africa, genocide plagues one region. When the only surviving member of a slain village is brutally raped, she manages to escape, wandering farther into the desert. She gives birth to a baby girl with hair and skin the color of sand, and instinctively knows her daughter is different. She names her daughter Onyesonwu, which means "Who Fears Death?" in an ancient African tongue. Reared under the tutelege of a mysterious and traditional shaman, Onyesonwu discovers she possesses a remarkable and unique magic. The journey to fulfill her destiny will force her to confront nature, tradition, history, the spiritual mysteries of her culture, and eventually to learn why she was given the unusual name she bears: Who Fears Death?